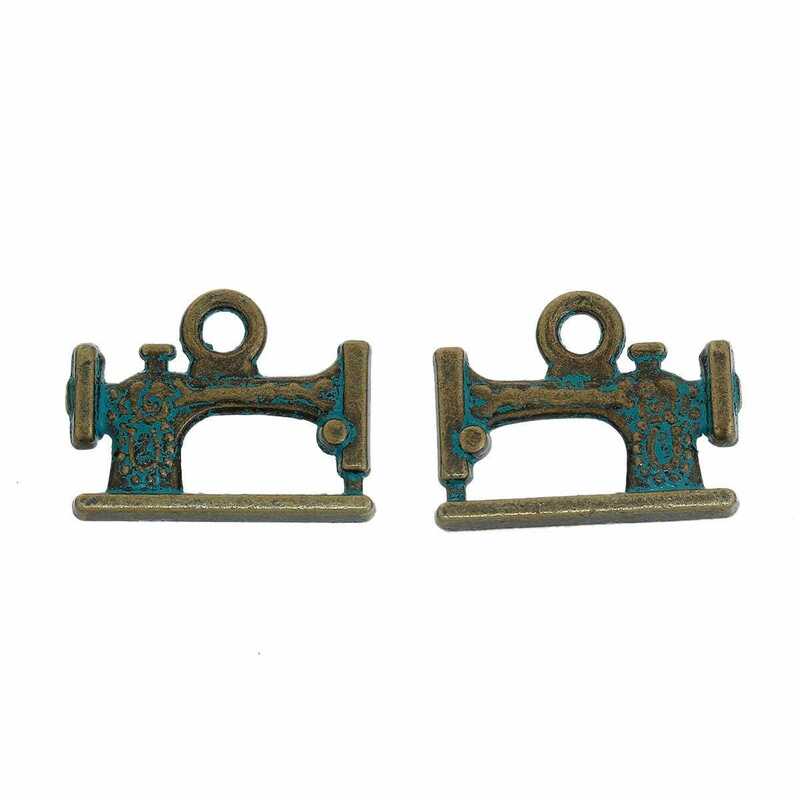 10 antique bronze sewing machine charms with patina finish. 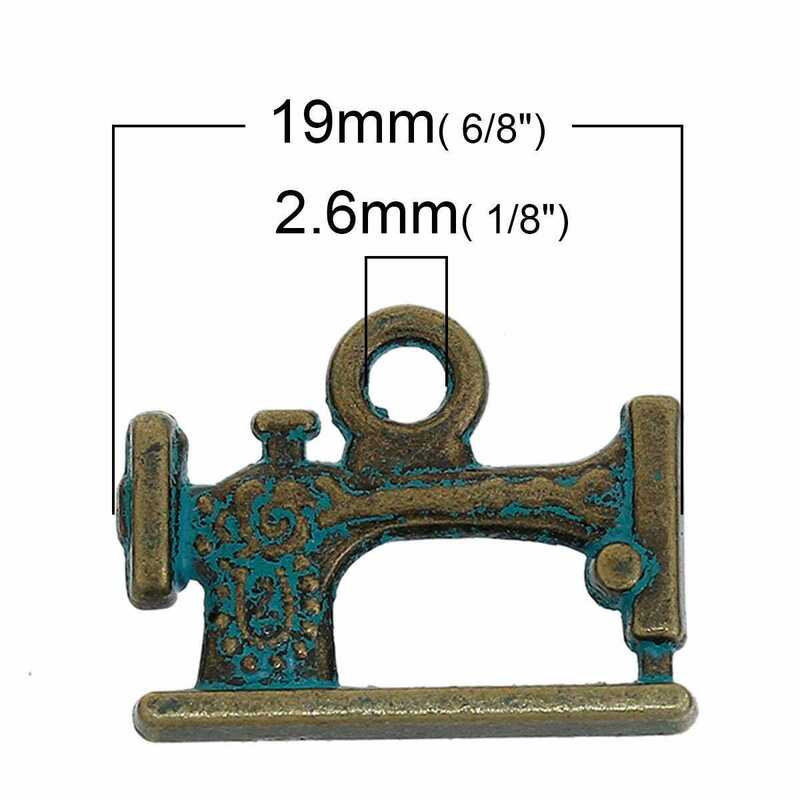 These charms measure 19mm x 15mm and are double sided. 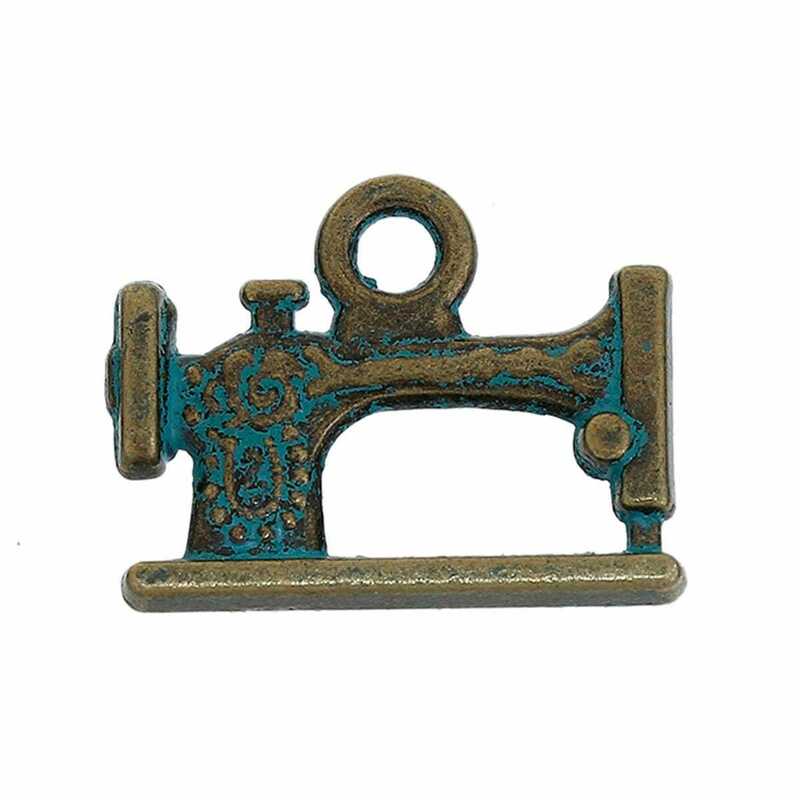 Perfect for zipper pulls, bookmarks, key chains, stitch markers, earrings, charm bracelets and other jewelry. Zinc metal alloy, lead free, cadmium safe.